San Francisco Bay Area metal veterans TESTAMENT have set an October 28 release date for their new album, “The Brotherhood Of The Snake”. Guitarist Eric Peterson told Metal Maniac about the new disc (see video below): “It’s finished — recorded, done — and it’s now on its way to [British producer] Andy Sneap to get mixed. Don Dokken has confirmed that the classic lineup of DOKKEN will reunite for a series of concerts in Japan, with no plans to take the reunion to the rest of the world. The six shows will take place this October, and will include an appearance at the Loud Park festival, which last year celebrated its tenth anniversary. During an appearance on last night’s (Saturday, June 25) installment of “The Classic Metal Show”, Don explained how the long-rumored DOKKEN reunion finally came to fruition. 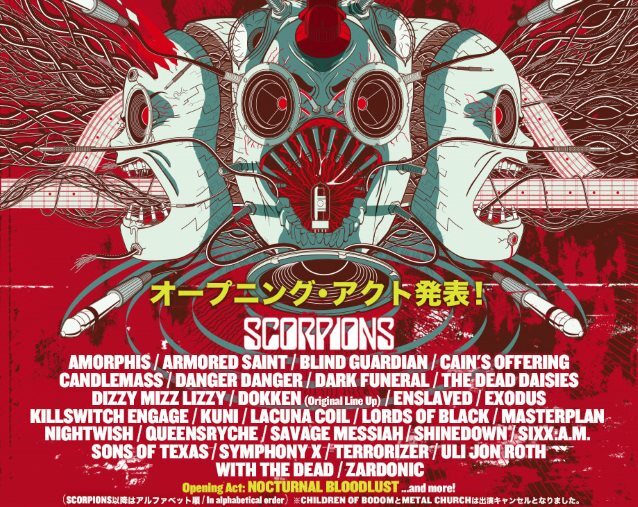 Despite the fact that there is plenty of interest from promoters in other parts of the world to book the DOKKEN reunion, Don claims that the Japanese dates are the only shows the group is committed to doing. “Of course, everybody came out of the woodwork, and they want us to do Sweden Rock, Wacken festivals, M3… People are throwing money at us to do a DOKKEN reunion in the States and Europe, and my answer to everybody is, ‘No. It’s not gonna happen,'” he said. According to Don, part of the reason there are no plans for the reunited DOKKEN to play any other shows after the Japanese run is the fact that the current lineup of DOKKEN — which includes fellow member of the band’s classic lineup, drummer Mick Brown, alongside longtime guitarist Jon Levin and bassist Chris McCarvil — is still very much an active entity, with a steady schedule of live shows throughout the year. He continued: “Doing a tour like this is not easy; there’s a lot of logistics, money, accountants, taxes, overhead, equipment, video. It’s a lot of logistics to put together, and it’s taken a long, long time to put this Japanese tour together. But we did it, and we’re gonna do six shows. Serious discussions about a reunion of DOKKEN‘s classic lineup have been held, on and off, for at least the past half decade. Back in may 2010, Dokken and Lynch appeared on VH1 Classic‘s “That Metal Show” together in hopes that a reunion would follow. Despite their efforts, it never happened and Don went forward with DOKKEN‘s current lineup. All the members of DOKKEN‘s classic 1980s lineup reunited on stage for the first time in more than a decade on November 29, 2009 during an encore at a DOKKEN show at the House of Blues in Anaheim, California. MEGADETH will team up with AMON AMARTH, METAL CHURCH and HAVOK for a U.S. tour in the fall. The trek, which is expected to include an as-yet-undisclosed fifth band, will last for five weeks. MEGADETH‘s last full U.S. tour took place earlier in the year and featured support from SUICIDAL TENDENCIES, CHILDREN OF BODOM and HAVOK. 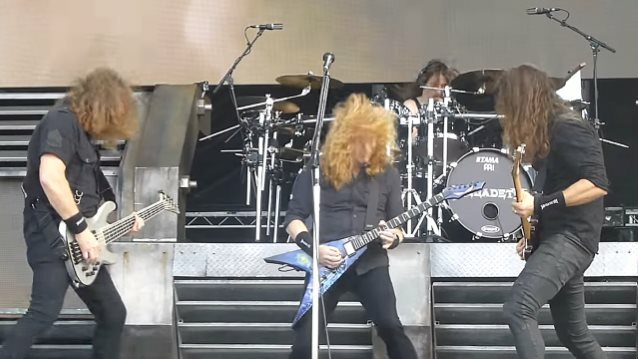 MEGADETH is continuing to tour in support of its fifteenth album, “Dystopia”, which shifted 49,000 equivalent album units in the U.S. in the week ending January 28. In terms of pure album sales, it opened with 48,000 copies, marking MEGADETH‘s highest-charting album since 1992’s “Countdown To Extinction” debuted and peaked at No. 2 on the chart dated August 1 of that year. “Dystopia” also logged the group’s best sales week since 2007, when “United Abominations” landed at No. 8 with first-week sales of 54,000. MEGADETH mainman Dave Mustaine recently spoke to Kerrang! Radio about the band’s drummer situation after recently recruiting Dirk Verbeuren (SOILWORK) to play drums for the group while Chris Adler is busy touring with LAMB OF GOD. 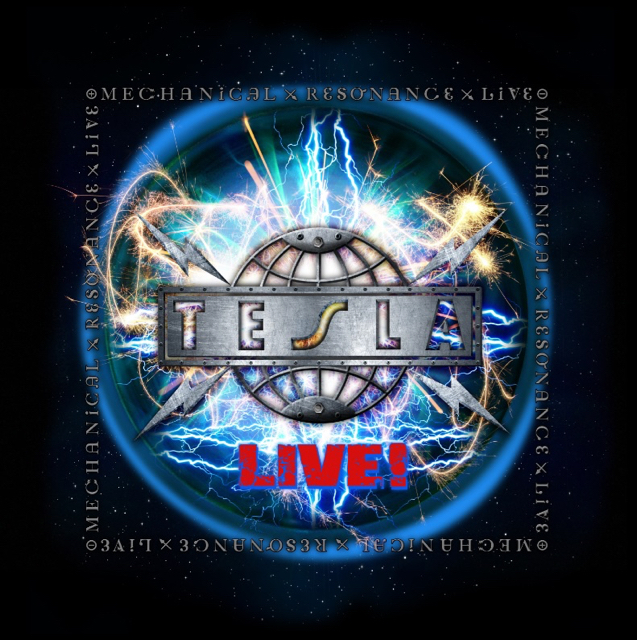 Adler played drums on “Dystopia” and has taken part in most of the band’s live shows in support of the CD so far. On some of the shows where Adler was unable to play with MEGADETH, he was temporarily replaced by Tony Laureano (ex-DIMMU BORGIR, NILE, ANGELCORPSE), the veteran extreme-metal skinsman who has worked as MEGADETH‘s drum tech since 2011. FaceCulture conducted an interview with HALESTORM frontwoman Lzzy Hale and drummer Arejay Hale at this year’s Pinkpop festival, which was held June 10-12 in Landgraaf, The Netherlands. HALESTORM‘s first two albums, 2009’s “Halestorm” and 2012’s “The Strange Case Of…” were both officially certified gold in March by the RIAA (Recording Industry Association of America) for sales of more than 500,000 copies. The certifications came after RIAA started including on-demand audio and video streams and a track sale equivalent in gold and platinum album award. “Into The Wild Life” debuted at No. 5 on the Billboard 200 album chart, selling 56,000 copies in its first week of release — more than double the first-week haul of their second CD — but has not reached gold yet. 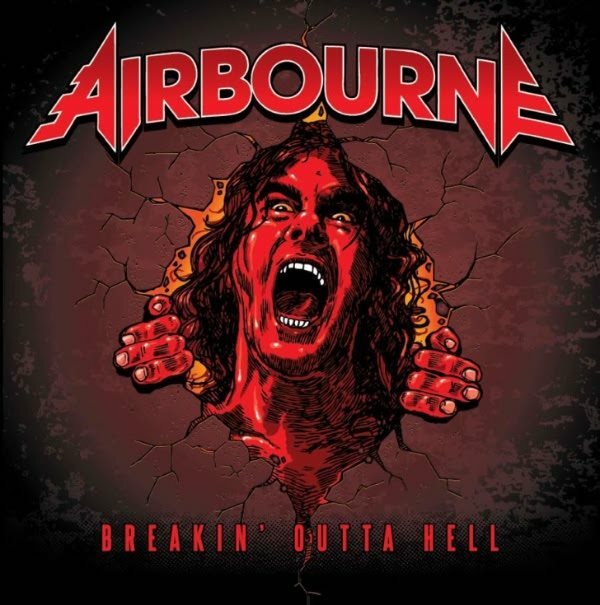 Australian hard rockers AIRBOURNE will release their fourth studio album, “Breakin’ Outta Hell”, this fall via Spinefarm. The disc’s title track will also serve as the first single and video. “Breakin’ Outta Hell” was produced by Bob Marlette, who helmed AIRBOURNE‘s “Runnin’ Wild” debut in 2007, and was engineered and mixed by Mike Fraser, who has previously worked with AEROSMITH, VAN HALEN, METALLICA and more. Driven by a formidable work hard, play hard ethic, the Australian outfit (led into action by brothers Joel and Ryan O’Keeffe, vocalist/lead guitarist and drummer, respectively; guitarist David Roads and bassist Justin Street complete the lineup) has spent the past ten years establishing itself as a true force of nature: living on the road, selling out major venues and appearing on bills with some of rock’s most legendary names, and this latest North American run will only add to their reputation for incendiary live performances — maximum energy, maximum entertainment. 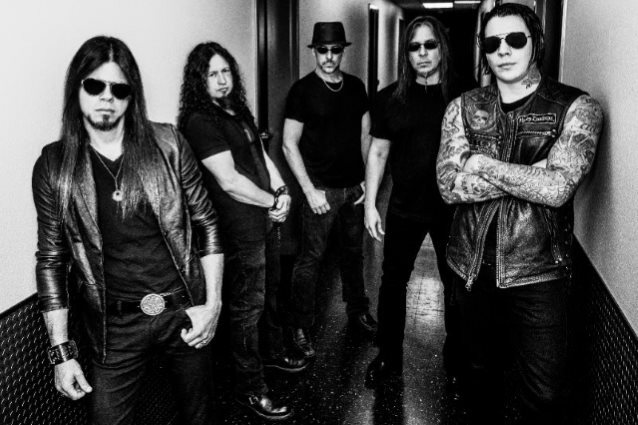 Progressive metal veterans QUEENSRŸCHE have announced their next headlining tour throughout the United States. The month-long trek will take place this fall, starting on November 15 in Seattle, Washington and concluding on December 15 in Colorado Springs, Colorado. QUEENSRŸCHE will be joined by ARMORED SAINT as direct support, along with MIDNIGHT ETERNAL on all dates for the upcoming tour. QUEENSRŸCHE hired Todd La Torre to replace Geoff Tate in 2012 and has released two albums with the ex-CRIMSON GLORY frontman: 2013’s “Queensrÿche” and the aforementioned “Condition Hüman”. “Condition Hüman” debuted at No. 27 on The Billboard 200 chart, having shifted 14,000 equivalent album units in the week ending October 8, 2015.